My husband and I took a spontaneous trip to Washington DC yesterday. I only knew that I was to wake up at 6am and to dress “cute and comfortable.” I had no idea what he had planned until we hit the highway. Set aside the cost for gas and parking, and it was actually a pretty cheap date! My husband, the one and only Bryan P, came up with a frugal date idea on his own. Maybe my frugal ways are starting to have an impact on him? Maybe not. Only time will tell! The drive from Pittsburgh to DC isn’t a short one, but we are accustomed to driving long distances. We lived 5 hours apart in the beginning of our relationship, and my family is spread all over the eastern half of the United States. So we didn’t bat at an eye at the four hour drive. We saved about $12 by skipping the tolls. It added 20 minutes to our drive time, which I felt was worth it. I don’t make $12 in 20 minutes (which would be $36 per hour) so I was glad to take the smaller highways. To find out ahead of time how much tolls will cost, you can download an app for that. There’s Tollsmart and Toll Calculator to get you started. 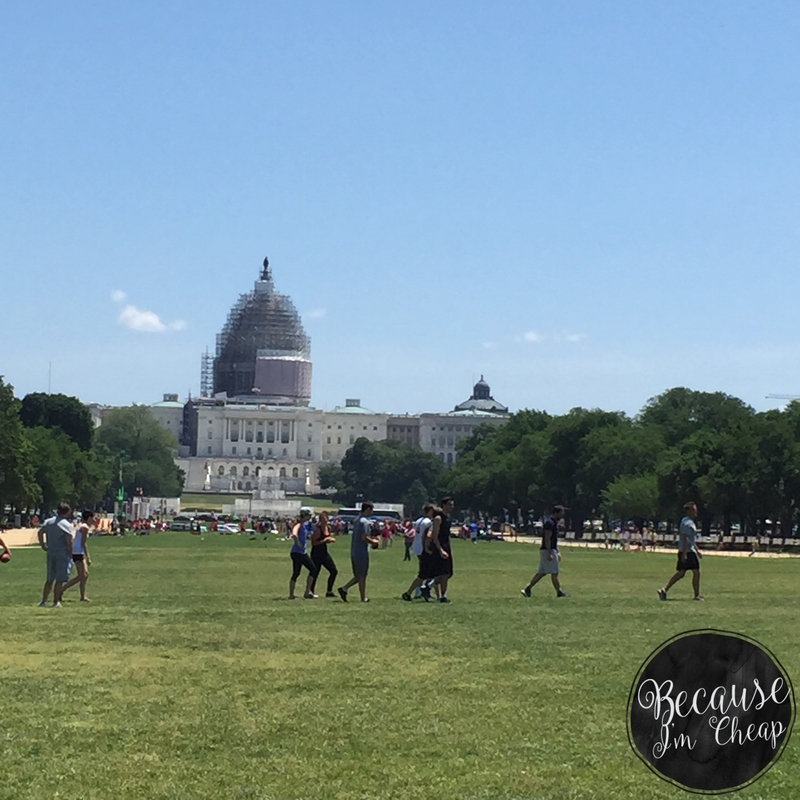 For parking in DC near the National Mall, I used an app. Best Parking will show you parking near the Smithsonian as well as hours, fees, and contact information. We parked on Pennsylvania Ave for $15 for the day. It was only a 10 minute leisurely walk to the museum. Upon entry, you will have to go through bag checks. They do not allow water bottles, so if you like to keep your own on hand, I would visit them last so that your bottle is empty. The entire museum was very crowded. We zigged and zagged through the crowds like we were on the way to 10th grade Biology. When pressed for time, we can get through a museum in about an hour. Just hitting up the must see exhibits. My iPhone also helps us keep the pace. Never am I one of those people who linger over an exhibit waiting for my camera to focus. That was such a great investment! Admission at the Smithsonian is free. Maps are $1 but the cost is a suggested donation. So the volunteer at the counter let me have one even though I didn’t have a cash donation on hand. There were many neat things to see. It was especially helpful that a lot of the exhibits were large and even mounted on the ceiling. No need to stand on tiptoe just to see. 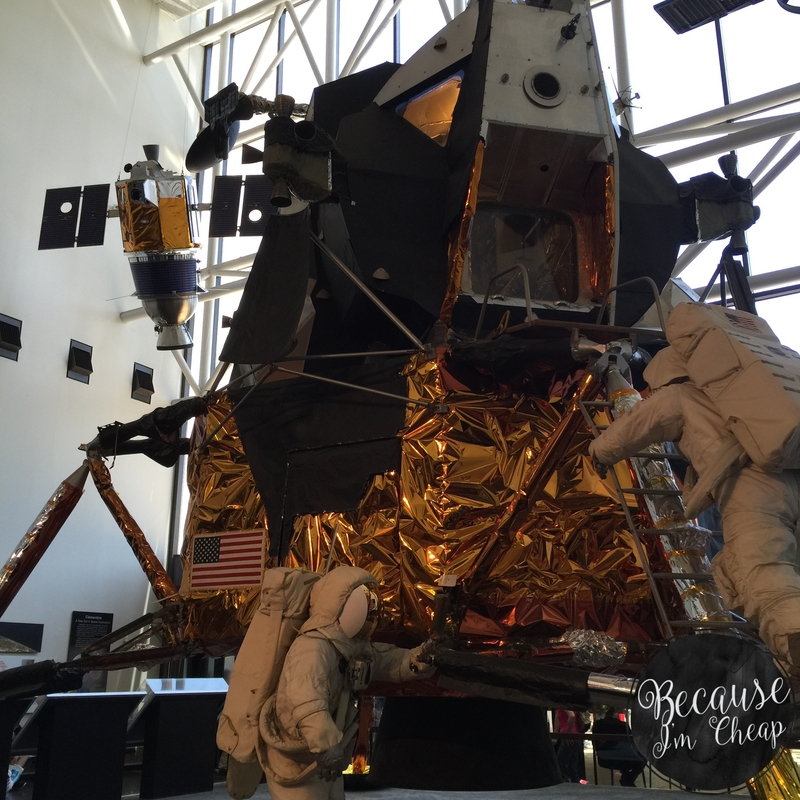 My favorite exhibits were the astronaut suits. Amazing to me how those things are capable of sustaining life in space. 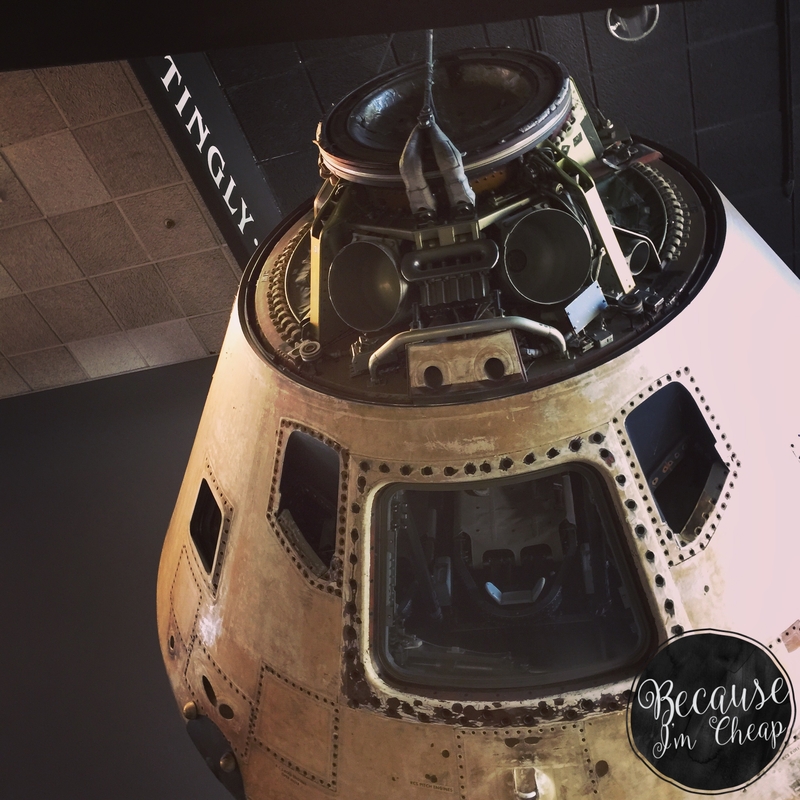 If you’d like to see more photos of our visit at the National Air And Space Museum, go here. 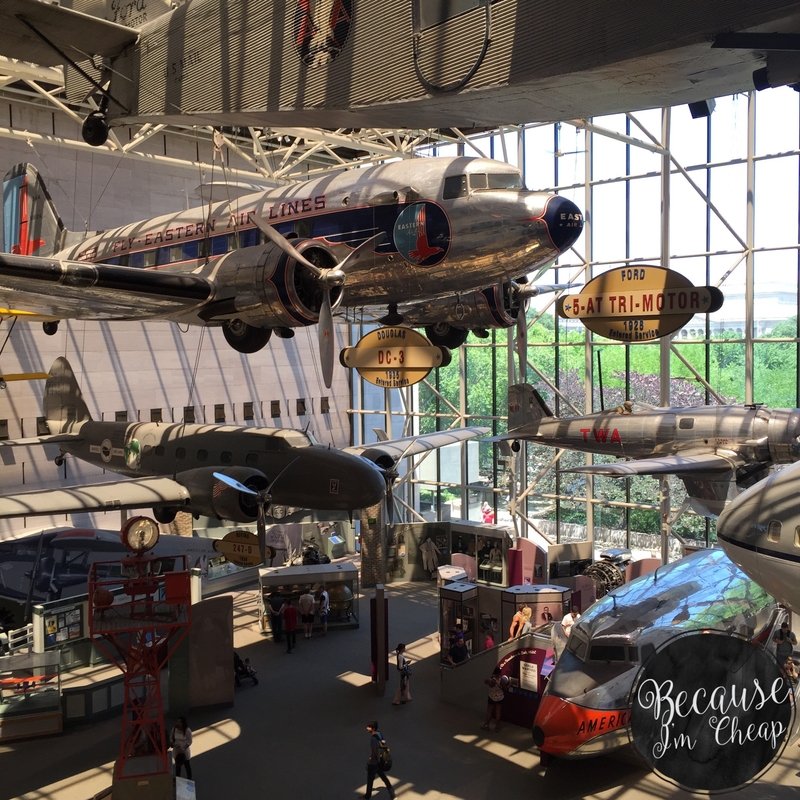 Have you visited the National Air And Space Museum? What was your favorite exhibit?